When you want a historic home in an established neighborhood, you buy in Druid Hills. Most houses here are traditional two-story, with large lawns and private lots. You can also find new construction, as well as beautifully restored historic properties, a smattering of ranches, and even Craftsman bungalows. Most homes range in price from $400k up to several million. 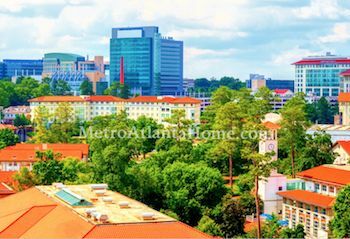 One of Atlanta’s oldest and most respected neighborhoods, Druid Hills has been impressing residents and visitors alike since its origination in the late 1800s. Designed by renowned landscape architect Frederick Law Olmsted (whose accomplishments already included Central Park, the US Capitol, Biltmore Estate, and Brooklyn’s Prospect Park), Druid Hills has been called “a rare example of Olmsted’s design intentions intact in its principal features,” according to the U.S. Department of the Interior. 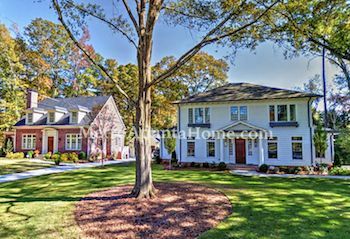 With numerous parks, walkways, and lush landscaping, Druid Hills has influenced many other Atlanta neighborhoods and contributed to making Atlanta a park-like city. The landscaping is well-maintained and lush, and the streets are wide and walkable, with sidewalks. Homes in Druid Hills are in an excellent location – Virginia-Highland and Midtown are a short drive to the west, Decatur a few minutes to the east, and I-20, I-75/85, and I-285 close enough to get you anywhere in the city you need to be. Druid Hills is bordered by Clairmont Road to the east, Briarcliff Road to the west, South Fork Peachtree Creek to the north and Ponce de Leon Avenue to the south. 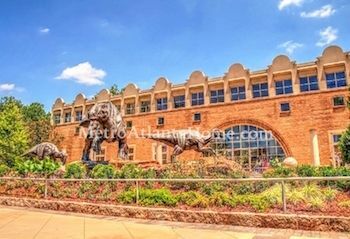 Emory University, the Centers for Disease Control, Callanwolde Fine Arts Center, and Fernbank Science Center and Museum are all contained within the borders of Druid Hills, as is the Druid Hills Golf Club. Listed on the National Register of Historic Places since 1975, Druid Hills is and will continue to be one of Atlanta’s great neighborhoods, full of history, lush landscaping, and gorgeous architecture.